Wherever possible we have always helped out guides and coaches with frames and bikes. They help us get the most out of our holidays and riding, and they tend to put intergalactic mileage on their bikes so they're great durability testers!! 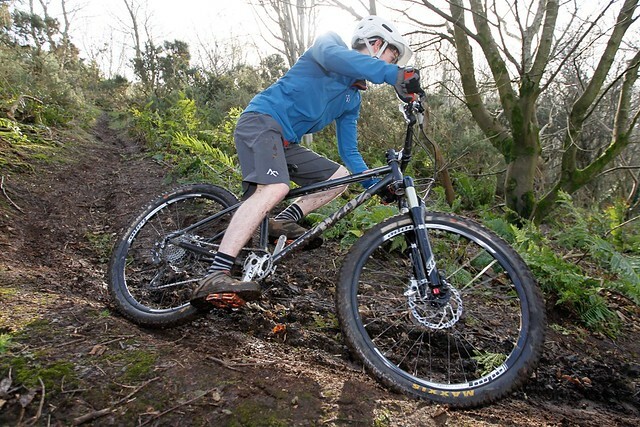 Last year Andrew from Mountain Goat Guiding bought a full house BFe26 XT bike from us for his upcoming season. He's loving it, and sent us some great pics. I hope you’re keeping well and that business is booming with the new rocket etc. Sorry I haven’t been in touch with any photos in a while but thankfully I’ve managed to be nice and busy with work despite all the storms and rain this winter. I got out the other day on some small trails next to my house and got some shots hopefully these will serve as a bit of a flavour of whats to come in 2016. Along with this I’m all set for this years First tracks endure cup and hope to show off my Cotic to the best of my ability. I still haven’t stopped receiving endless compliments about the bike from people who see it and the praise only increases when they take it for a spin! !